Protection from viruses, malware, and ransomeware. Is there a better alternative to AntiVirus? Is AntiVirus really the best app in Virus category? 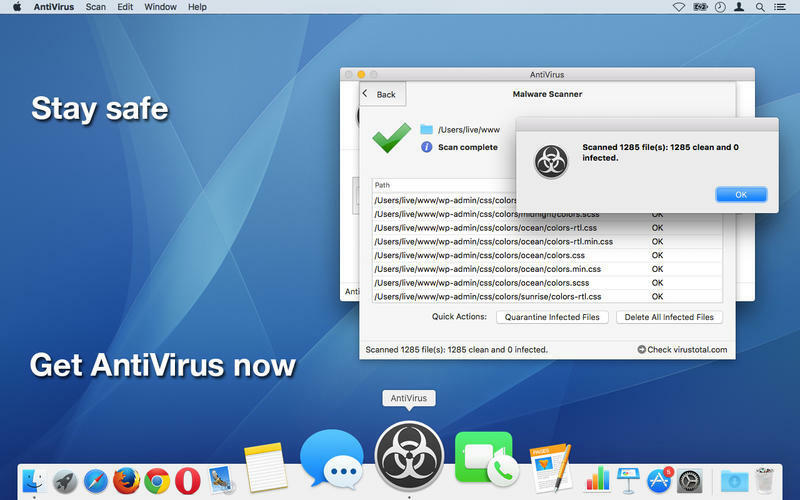 Will AntiVirus work good on macOS 10.13.4? 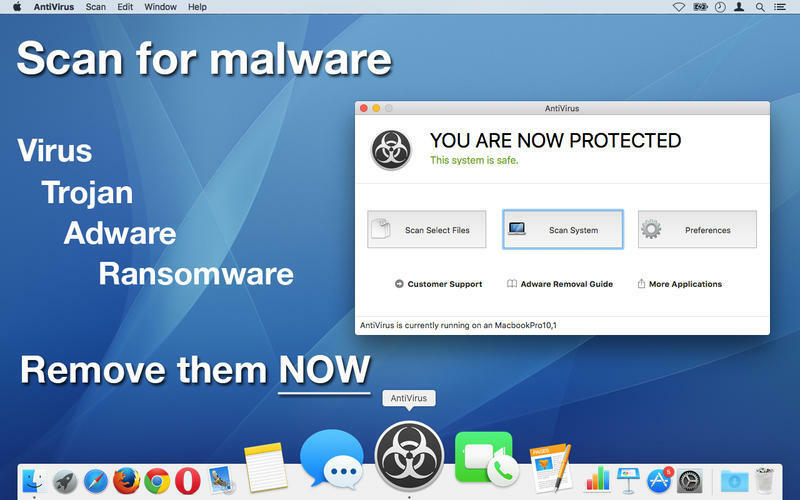 AntiVirus is your solution to cleaning and protecting your computer from viruses, malware, and ransomware. With updated malware definitions, AntiVirus offers the best protection against known threats. AntiVirus needs a rating. Be the first to rate this app and get the discussion started! Note: Please remember that this app does not offer real-time protection against newest threats. Make sure you exercise caution when opening and running software from the Internet.